Paul Manafort charged with conspiracy against the U.S.
Paul Manafort, Trump's former campaign manager, and his business partner Rick Gates, have been indicted by a federal grand jury as a result of Special Counsel Bob Mueller's Russia probe. It involves 12 counts, per Peter Carr, a spokesman for the special counsel's office: conspiracy against the United States, conspiracy to launder money, unregistered agent of a foreign principal, false and misleading Foreign Agent Registration Act statements, false statements, and seven counts of failure to file reports of foreign bank and financial accounts. Why it matters: This is the first indictment of Mueller's probe, and although it doesn't explicitly link a former Trump campaign associate directly to pro-Trump Russian collusion, it shifted the probe even closer to Trump and those close to him — and it negates Trump's claims that Mueller's work is simply a "witch hunt" with no basis. 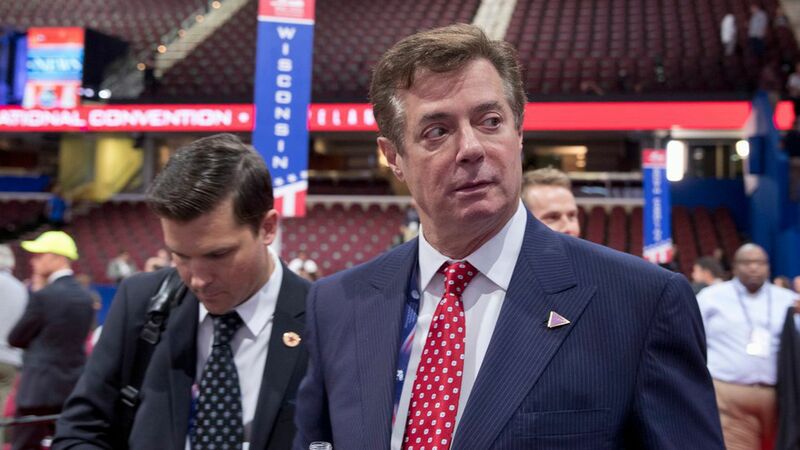 Go deeper: Why Paul Manafort registered as a foreign agent, how Mueller's probe closed in on Manafort, and a look back at Manafort's Russia intrigue.